Metcalf Plumbing is a customer-focused plumbing contractor serving residential and commercial clients throughout the Catonsville, Ellicott City and surrounding areas. We’re small but think big! We are not commission-based and we provide honest, upfront costs with a thorough inspection of your system and suggested next steps. Experience the Metcalf Plumbing difference…we’ll be expecting your call! Join Howard County Executive Calvin Ball, the Howard County Economic Development Authority, and the Howard County Chamber of Commerce for a Business Breakfast to celebrate our new and relocated businesses! As part of our annual Business Appreciation Week we are taking out some time to say thanks to some of Howard County’s newest businesses. We know that you have options when selecting where to locate your business, and we are happy that you decided to be here. We ask that registration remains limited to only business owners or executives of recently started or relocated businesses. Team Network Tysons group is made up of senior figures in the B2B space who wish to grow their business by developing relationships that grow partnerships and increase business through collaborative problem solving and education and introductions in a unique and stimulating environment. If you want to get on top of the latest thinking and hottest topics, and turn this intelligence and collaboration into game changing results for your business please join us. 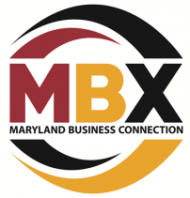 Maryland Business Connection (MBX). 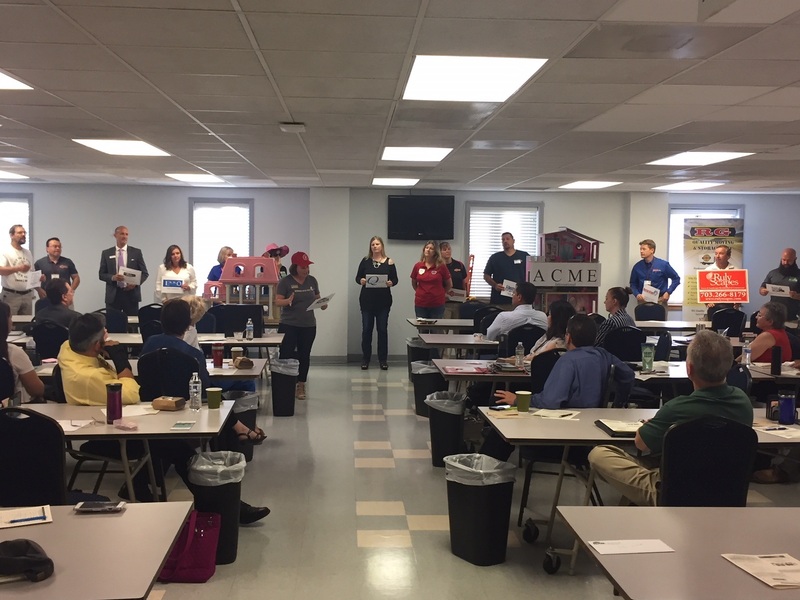 We host 15-20 Networking Luncheons and Happy Hour events throughout the state of Maryland. 20-35 local business professionals typically attend these events. There is no cost for members and 1st-time guests and lunch (or happy hour food) is provided. Participate in quarterly Expos as an attendee or exhibitor. These events typically draw 400-500 local business professionals and include food, beer and wine samples as well as a Casino Night, a DJ, an Interactive Photo Booth, Door Prizes and lots of fun. Is the pressure on to prevent customer churn and get more renewals, referrals and account expansions? You’re not alone! This is a common struggle for Customer Success (CS) professionals around the globe. SaaS businesses rely on “customers for life”, but creating a network of loyal customers is becoming harder and harder as customers have more options and opportunities to churn. More options for your customers means securing renewals year after year is no longer just about your products. It’s also about the interactions your customers have with you and the services you provide to help them experience unbeatable value and success with your products. It takes CS professionals years of trial and error to learn what we can teach you in as little as five weeks of virtual CS training. Our training is based on 20+ years of hard work and experience in the field to provide you the key knowledge and step-by-step actions that drive immediate and long-term value, growth and recurring revenue. Open to the public – anyone from anywhere can participate, individuals or teams are welcome. You get 10 online training courses available 24/7 to watch when and where it’s convenient for you. You get 5 live, expert-led virtual group training sessions that take place every Tuesday from 11:00 – 12:30 EDT from May 15 – June 12, 2018. Sessions will be recorded and accessible 24/7. Plus you get our FREE post-training bonus of 3 group coaching calls worth $900. Coaching calls are 60 minutes each, 1 call per month for 3 months post-training, to reinforce learning and answer new questions that come up once you get back to working with your clients. Examine the roles and expectations for CSMs in enabling and driving your customers’ success. Learn how to establish yourself as a strategic partner and trusted adviser for your customers right from the start. Understand key processes and actions you should take as part of your CS playbooks before Go Live, at Go Live and post Go Live to secure renewals year after year. And if you register by April 15, 2018, you’ll receive a 10% discount off the regular price of $899. Lead customers through all phases of the relationship from initial contact through renewal year after year! Significantly increase customer retention, referrals and account expansions by helping your customers experience a ton more value from your products and services! Experience excellent relationships with you customers who will recognize and acknowledge your extraordinary value! Be seen as the role model and hero in your organization for achieving extraordinary growth, revenue and customers for life! Your success is important to us and your customers. We look forward to getting to know you and earning your trust. Tri Tuns: The global experts in Customer Success and Software Adoption. Everyone gets a chance to address the group. Share agendas that have value and purpose, and are designed to facilitate meaningful introductions. Share thoughts to engage conversation and referral partnerships. Lead members to meet one-on-one outside the meetings to help foster long-term business relationships and increase their bottom line. The people you would meet at a Team Network function are entrepreneurial in nature. You would find mostly a room full of “Main Street” type business owners. You would also find presidents of companies, managers, independent contractors and top-level sales people. The members of Team Network are positive, optimistic and friendly. They believe in maintaining high standards of honesty and integrity in the way they do business. They also believe that building a business by word-of-mouth is the best way, and they want to associate with others who feel the same. Guests are allowed to visit up to two Team events AT NO CHARGE before being asked if they wish to become a paying member of a group which has an opening for their company’s industry category. * GUESTS ARE ALWAYS WELCOME! Attend this special networking event. Come and create meaningful win-win relationships. Light fare and refreshments will be provided. We are the Columbia Action Network Team of Team Network; an exclusive category networking group. We are made up of specifically hand-picked business people who are committed to growing their businesses, actively seeking to build mutually beneficial relationships, and have a strong desire for idea sharing and collaborative problem-solving. Changing the results in your game can be a simple a joining the right team! Join the Democratic Business Council of Maryland, Baltimore Chapter for a networking event with fellow democrats, entrepreneurs and business owners at Maxes Tap House! List of special guests forthcoming. Come have breakfast with a dynamic group of top, peak producing business owners, sales reps, and entrepreneurs who are looking to meet you. Our Kingstowne Alexandria Breakfast gathers every Wednesday. Breakfast cost is $7. Morning Mixers are the best way to start your day with B2B (business-to-business) networking in a professional and friendly setting. Introduce yourself to other business leaders, meet prospects and the MCCC team, and experience the value of MCCC membership. Refreshments are provided. Bring your entire team and plenty of business cards! Here’s your chance to meet new members and catch up with current members! Bring guests and introduce them to your BWN connections. Learn something new about another member. Set up a coffee meeting with a member you’d like to know better. Ask for advice. Find a mentor. Use this entire meeting time to build relationships and forge new connections! For more information, please contact Doris Walsh, Director of Membership. Hampton Roads B2B is a new networking group being formed to connect, educate, and serve the sophisticated business-to-business leaders in Virginia Beach and surrounding area. This “non-exclusive” business category group will focus on the needs and interests of business owners, managers, and those responsible for business development in the business-to-business target market. Bethesda Referral Network is a new networking group being formed to connect, educate, and serve the sophisticated business leaders in Bethesda and the surrounding area. 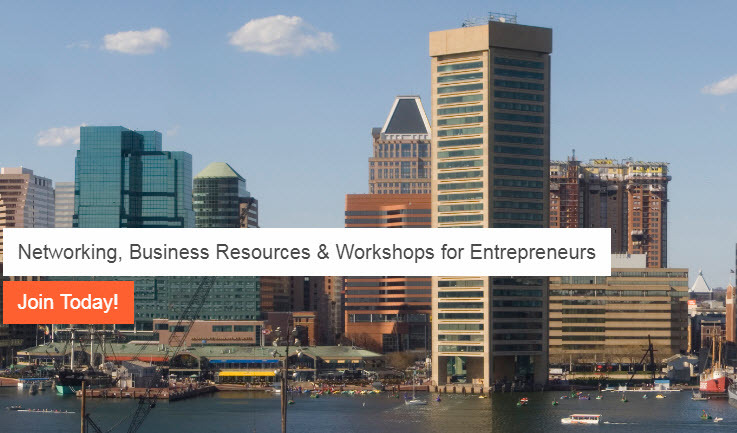 This “exclusive” business category group will focus on the needs and interests of business owners, managers, and those responsible for business development in Montgomery County and beyond. Entrepreneurs- Bring your operations, marketing and growth challenges.Professionals- Bring your career and motivational challenges.Free admission. Free advice. Networking opportunities. Attendees are invited to share their challenges and offer suggestions for other attendees. Our Facilitator, Will Holmes will also offer suggestions and give recommendations. Based on the recommendations, if you feel comfortable, you state what you will do next. Then, at the next session you attend, we ask that you provide a progress report to the group. 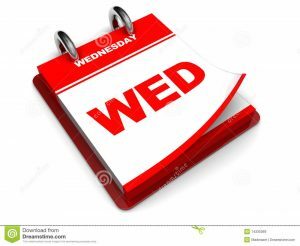 Sessions will normally be held in the Baltimore area on 4th Wednesdays. The sessions will be facilitated by a professional coach/consultant to help keep members focused and accountable and to give everyone a chance to share and learn. Calling all small business owners! 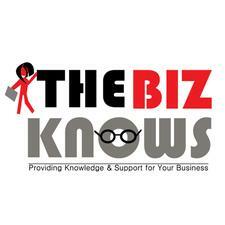 Are you in the Frederick area and looking for more business? This is a new networking group for local businesses of the Frederick area that are looking to get together on a bi-weekly basis. 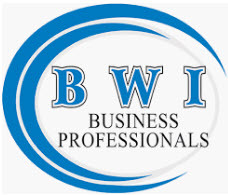 The purpose of this group is: – To generate business referrals – Meet other active small business owners in your area – Grow your business – Put more dollars in your pocket – Streamline referrals by having one member for each occupation. For more information on LeTip, please check out www.letip.com. This group will meet bi-weekly in the morning for breakfast. Please don’t hesitate to reach out to Brennan Gmeiner for more information on the meeting! Turn right off of Routzahn’s Way onto 355 and then back into the industrial complex towards Frederick Indoor Sports Complex. Hello All, We will be meeting again at 7:16AM at the Frederick Indoor Sports Complex. Please be early and ready to start promptly! Bret Merson will be the showboater and Ed Milum will be the presenter! I look forward to seeing all of you for breakfast! All members are to make an extra effort to attend. Special attention will be made to help with skills to generate more referral business amongst the current members and we’ll continue to pull together our plans to drive new Members at our next Marty! 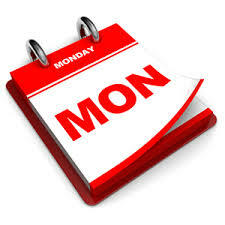 Good consistent attendance is the 1st step. It’s a “Team” effort. Please RSVP. The Williams Home Team of Taylor Properties and Charlie Lynch of Heritage Financial will be hosting happy hours throughout 2019! Our goal with the happy hours is to raise $5,000 to be awarded as a scholarship to a local high school student that has ambition to go to college to become a local hero. Every realtor on The Williams Home Team of Taylor Properties is committed to helping the community! With their unique Gifting for Gratitude program, each realtor on The Team has pledged to donate up to 20% of their own commission directly to any local hero that is purchasing or selling their home with them. This past year, they were able to donate tens of thousands of dollars back to local police officers, nurses, veterans, EMTs, teachers, and firefighters as a thank you to those civil servants who give so much of themselves to the community everyday! Please register for this event for head count purposes. And Bonus its 1/2 price wine night!!!!!! Starting with an open networking format, all members and guests will then gather for a meeting to hear a member spotlight, introductions, and share agendas designed to facilitate meaningful introductions to engage conversations and referral partnerships. The members of Team Network are positive, optimistic and friendly. They believe in maintaining high standards of honesty and integrity in the way they do business. They also believe that building a business by word-of-mouth is the best way and they want to associate with others who feel the same. Guests are allowed to visit up to two events AT NO CHARGE before being asked if they wish to lock in their exclusive business category and become a paying member. Grow your business with LeTip! If you are interested in learning more about LeTip of Westminster and how we can help you grow your business, contact cscher@equitymortgagelending.com to be invited to a free, no obligation breakfast meeting. LeTip meetings are held at Top Nosh Cafe in Westminster at 7:15am. 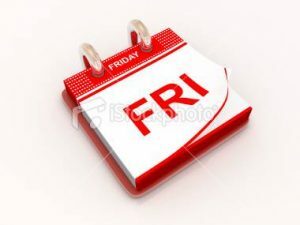 Address is Top Nosh Cafe, 125 Airport Drive, Westminster, MD 21157 every Friday morning. LeTip is a professional organization of men and women dedicated to the highest standards of competence and service. Our purpose is the exchange of business tips. Members will, at all times, maintain the highest integrity. Each business category is represented by one member and conflicts of interest are disallowed. Is Board service for you? Most of us have considered serving on a Board of Directors, be it a public or private corporate Board or not-for-profit. How do we know we are ready? At each stage of our careers, what could we do to be Board-ready? And how do we get the type of Board seat we want? Join us for an educational panel session on the roles of Boards and Directors and how they differ depending on the type of organization and how the Boards select their Directors. Our panelists will include C-Suite women who are traveling their own roads to the Boardroom. Following the panel discussion will be a workshop so you can create your own roadmap – regardless of what stage you are at in your career. Join us for a fire side chat with Virginia Secretary of Veteran and Defense Affairs Carlos Hopkins and Veteran Service Foundation Chairman Frank Finelli as they discuss the significant impact the business community creates when supporting Veterans and their families, and in turn the value Veterans bring to our workforce. Join the Howard Tech Council’s FA$T (Financial Affinity Strategic Team) for it’s first program of 2019, Start-Ups to Small Business; A Funding Source Spectrum. The need for financing and the difficulty of getting it from conventional sources has led to a much wider spectrum of financing possibilities than was previously available; ranging from government grants and loans, traditional banks, factoring and invoice loans. Our panel of experts will detail the advantages and disadvantages and share some important factors to consider with ANY form of funding, including time invested and timing for you, the complexity of these types of funding and the cost to you. Registration includes light hors d’oevres and beverages. Join business owners and other professionals for networking after hours. There is a $10 event fee ($15 at the door). You are also welcome to bring funds to cover any food and/or beverage you order. Everyone will have an opportunity to share business information. Membership is never required to attend any of our events, however, you’re welcome to learn more about the benefits of Membership by clicking HERE. Chicks in Charge is a friendly and professional networking opportunity for the business women of Maryland. We meet on a monthly basis in Owings Mills (Baltimore County). Please join us and bring plenty of business cards. You will be welcomed with open arms. Free and ample parking. Please arrive at 11:50. Pay $13 (inclusive of tax and gratuity). Serve yourself salad and water or ice tea, choose an entree (two different options each meeting) and find a seat. There is no annual membership fee. We ask that you try to attend two meetings in a year. There is no industry exclusivity. All ladies are welcome. For more information please feel free to contact one of the organizers. The i-LIST, powered by the Northern Virginia Chamber of Commerce, recognizes the most innovative companies that have demonstrated measurable impact in the Greater Washington region. The i-LIST was revealed over the course of a year, culminating in a countdown of the top 10 companies at the i-LIST Awards, a high octane celebration of this region’s innovation and entrepreneurial community. The i-LIST identifies organizations that have created new methods, ideas, and products to improve our lives and challenge the status quo. We reveal the innovation and the positive IMPACT it has made on our region, our nation and the world. Come join us May 1st for an award-giving, fast-paced, high energy reception and count down of the Greater Washington Region’s top 10 most innovative companies recognized on the i-LIST! Thrive! Arundel is a community of local professionals that are dedicated to building their business through a strong referral network and supporting the communities in which we live and work. We pride ourselves on our unique culture and our ability to strike a balance between the time commitment required to build a community of this type and the importance of networking and referrals. Join us on Friday morning, May 3rd, for our powerful business networking event that comes with a unique twist. This is a structured meeting that starts PROMPTLY at 7:30 AM in order to allow time for spotlight introductions, followed by our famous “lightning round” so connections are made instantly! For first time guests, there is no cost to attend. Register early before the event closes out, and feel free to forward this invitation to an associate! 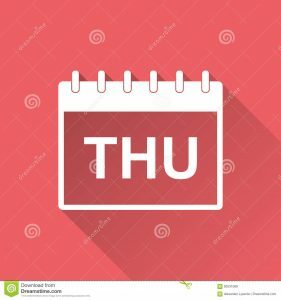 DATE: May 3, 2019TIME: 7:30 AM to 9:00 AMCOST: NoneLOCATION: Enterprise Solutions, Inc.8300 Boone BoulevardSuite 100 (conference room)Vienna, Virginia 22182 FAQsAre there any requirements to enter the event? We just ask for no job seekers, please. What can I bring into the event? We recommend bringing business cards. Worksheets will be provided to all guests with a list of registered individuals, please hand those in at the conclusion of the meeting and indicate if you would like a copy sent to you. How can I contact the organizer with any questions? Feel free to give corporate a call at any time with questions you may have at 1-800-798-0270 or send us a quick email to support@tipclub.com Do I have to bring my printed ticket to the event? No Can I update my registration information? Sure! Feel free to update your registration information up to 24hours prior to the start of the event. Is it ok if the name on my ticket or registration doesn’t match the person who attends? Yes, feel free to invite anyone looking to business network and have them sign in on the checklist. The BWN Scholarship Foundation invites you to attend a unique evening of networking, shopping, and giving to benefit the BWN Scholarship Fund. Don’t miss out on this fun night to support the BWN Scholarship program! The Lifelong Learner Scholarship Program assists women by providing scholarships to pursue degree programs, as well as technical, certificate, or training programs, to help them succeed in business and become leaders in the community. for a very casual networking opportunity.